It’s a striped fashion world–stripes continue to be in the forefront of 2013 fashion. 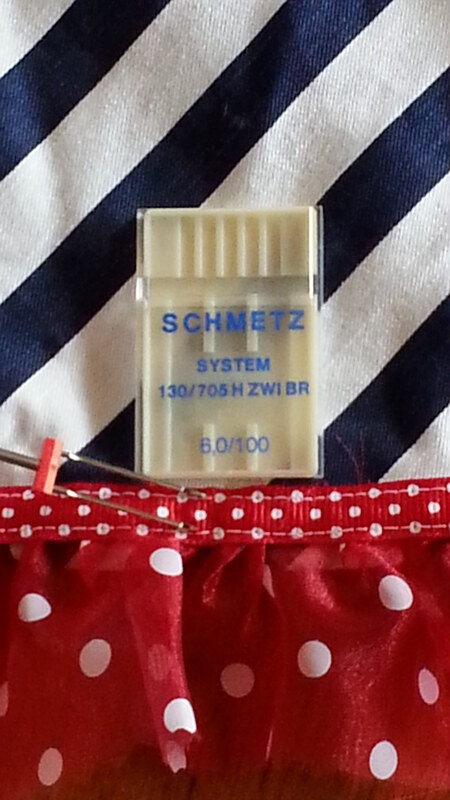 And, now a striped skirt is available for you to wear; it’s on my Etsy site. I picked up this Jones New York Signature chevron striped skirt at the end of last season just knowing it would be perfect for a 2013 wardrobe. And the inside facing is finished with red binding; no one sees it but the wearer and it just makes me smile! This basic skirt needed some life so added a sheer polka dot hem ruffle embellished with polka dot ribbon on the outside and red, white, blue striped ribbon on the inside. When you sit, the wrong side of the hem always shows; now it is a pretty as the right side! The original belt has been replaced with polka dot grosgrain ribbon–to wear or not. Wear it to work and hide the flirty ruffle under the keyboard, then bring out your inner Girly at the coffee machine. 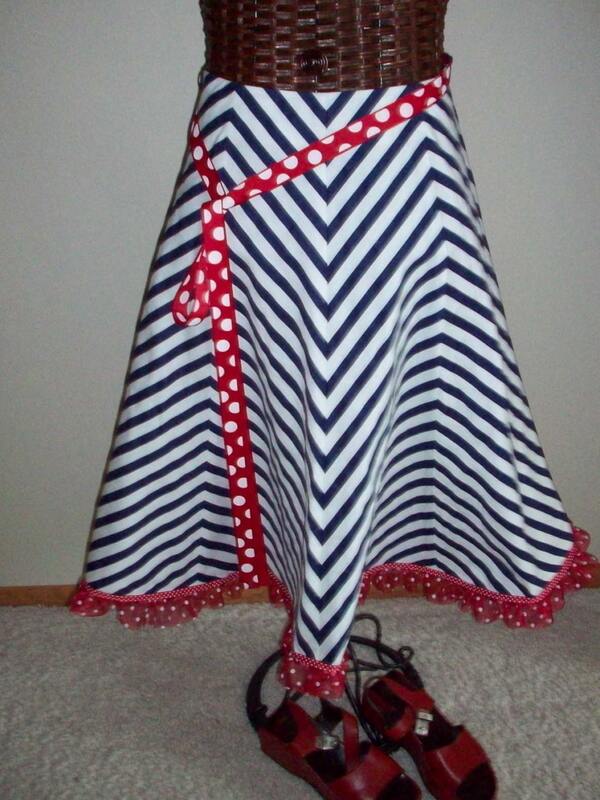 This entry was posted in FIBER FASHION FUN and tagged chevron, match stripes, ribbon, ruffles, skirt, striped, update. Bookmark the permalink.